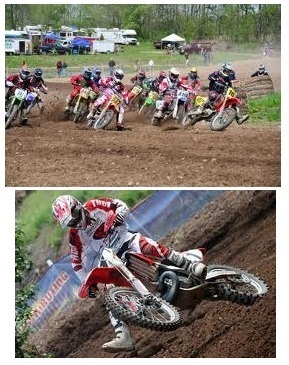 motocross action riders work best on thrilling motocross tracks. Famous Dirt bike racer guys. 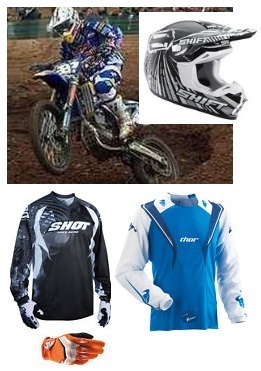 Motocross Action Riders – a list of the top motocross track stars. Every sport has its legends and heroes. These are people who have proven themselves to be a class apart from all the other also-rans of the sport in terms of both consistency and the incredulousness of their achievements. While football, lawn tennis, golf and all other sports have their own legends, when it comes to motocross the legends truly are legends because this sport is a lot riskier than all of the sports mentioned above combined. Motocross is a sport where simple mistakes lead to broken bones, cracked skulls and the worst, death. Therefore, for a person to reach the top of a sport like motocross it is something incomparable to anything that other sports legends have achieved. As an honor to the best that this sport has to offer, the following are the names of some motocross action riders who will always be remembered. Travis Pastrana, as per most motocross action fans, is one of the craziest motocross action riders in the history of the sport. The reason why Travis Pastrana is still remembered is the way he kept bouncing back from his injuries. The most grievous injury suffered by Pastrana was the dislocation of his spine from his pelvis. It is worth noting that Travis Pastrana is often seen as more of an entertainer than a sportsman because of his goofy antics. James Stewart is the foremost speed merchant of the many motocross action riders known to the world. More than his speed, James Stewart or Bubba, as he is nicknamed, is known as the Tiger Woods of the motocross action world mainly because he is the first of the few African American motocross action riders who have tasted success in this sport. Bubba is often characterized by his tendency to push as much to the edge as is possible. Can you tell who they are from just their motocross gear? Ricky Carmichael is known as ‘the GOAT' in the motocross action world which means the Greatest Of All Time. The simple reason why Ricky was given this extreme accolade is the fact that he has virtually won every race he has participated in. Furthermore, as per his loyal fans, he has done so with the kind of style and panache that they think is hard to find in the sport today. Jeremy McGrath is considered to be ‘The King' of the 90s which is informally called his era. During the period, ‘The King' of all Supercross riders created the unbeaten record of 72 250 cc main event wins. Furthermore, he also boasts of 7 250 cc Championships between 1993 and 2000. Another nickname of Jeremy McGrath is ‘The Showtime' because of his tendency to finish a race with a trick in the air at a time when it was unheard of. The above mentioned four motocross action riders are, by far, the best of the sport which has seen many heroes and legends. Some others who also deserve a mention are Chad Reed, Carey Hart, Mike Metzger, Brian Deegan, Nate Adams, Ronnie Renner and a few more.